Typically thought to be a male condition, 40% of American women experience the devastating emotional consequences of hair loss. As a man or woman in the Studio City, California, area, there’s something you can do about hair loss with the state-of-the-art Sunetics laser technology at Body Contourz body image center. 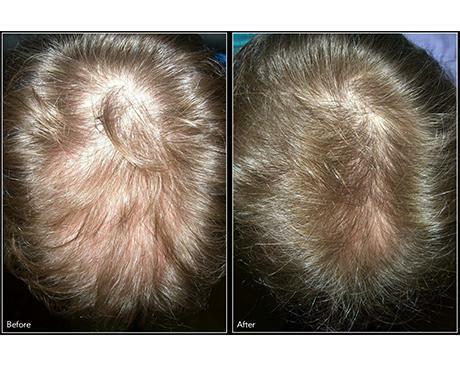 The Sunetics laser offers a nonsurgical, noninvasive treatment for hair loss to help you regrow your own natural hair. To learn more about this transformative procedure, call the office or request the next available appointment online. 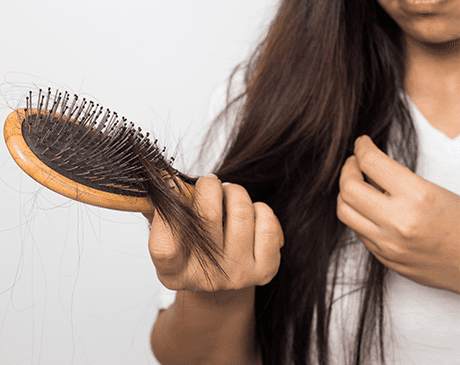 What causes hair loss in men and women? Male pattern baldness is the biggest culprit for hair loss in men. This genetic condition means you inherit hair follicles that are sensitive to DHT (a byproduct of testosterone), so the lifespan of the hair follicle is shorter than normal. Eventually, the follicles may stop producing hair altogether. Women’s hair loss can come from the same condition of having hair follicles that are overly sensitive to DHT. Additionally, as a woman, you may experience hair loss or thinning hair as a result of a traumatic physical experience like pregnancy and childbirth, malnutrition, or chemotherapy. How does the Sunetics laser work to treat hair loss? 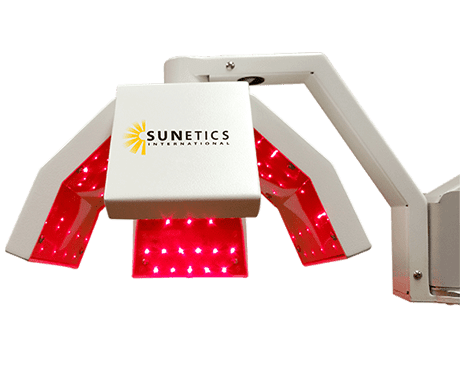 The Sunetics laser system uses low-level light therapy (LLLT) to stimulate your hair follicles so they produce new hair growth. The Sunetics laser is FDA-cleared for use on men and women who experience thinning hair and hair loss, and it’s a noninvasive, pain-free procedure without side effects. LLLT works at a cellular level to remove DHT and stimulate your hair follicles to grow new, healthy hair. As a result, you get fuller, thicker hair that grows naturally from your head. What kind of results can I expect from LLLT treatments? Over a series of treatment sessions, you first notice that you’re losing less hair, then that the quality of your existing hair growth improves, and finally that your new hair grows into normal, full-sized hairs because the follicles are no longer damaged. The team at Body Contourz works with you to develop an individualized treatment plan based on your needs. The treatment itself is a convenient, 20-minute session in which you sit comfortably under the Sunetics laser so the light can shine on your head. There’s no downtime or side effects, and you can return to your daily activities immediately following your session. To learn more about this innovative treatment for hair loss, call to schedule an appointment or book online today.